Alright first of all, you will need to have a rooted Galaxy S7 Edge with Xposed Installer/Framework installed. 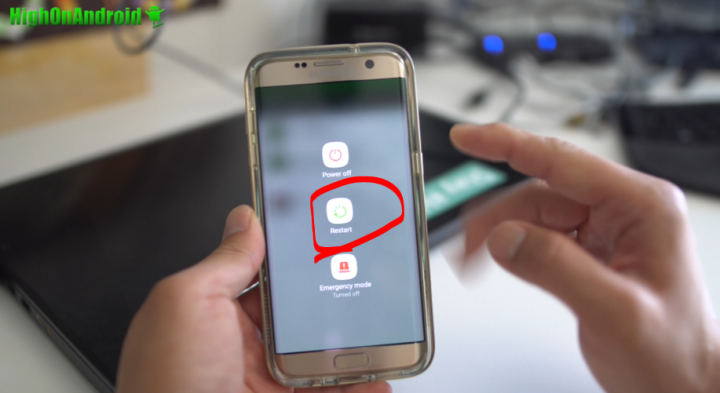 If you don’t know how to root, go to GalaxyS7Root.com and root your phone first. 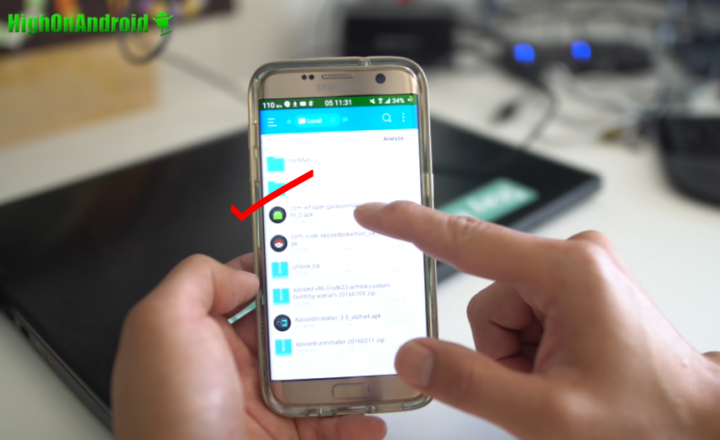 Second, use my Xposed Marshmallow tutorial and install Xposed Installer and Framework. 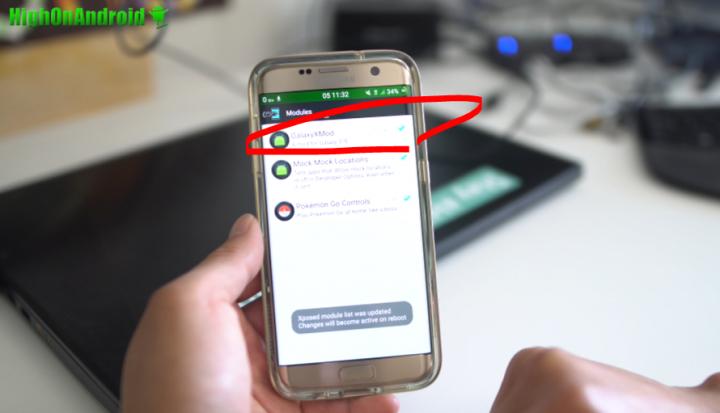 Once you have it installed, you can follow the rest of the steps. Step 1. 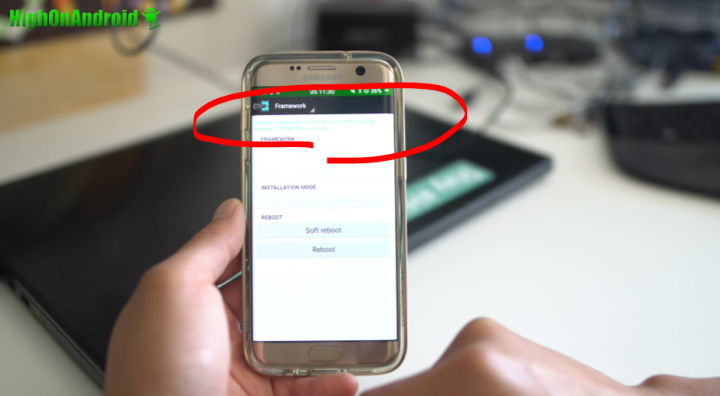 Run Xposed Installer app on your phone and make sure Framework has been installed correctly. Step 2. 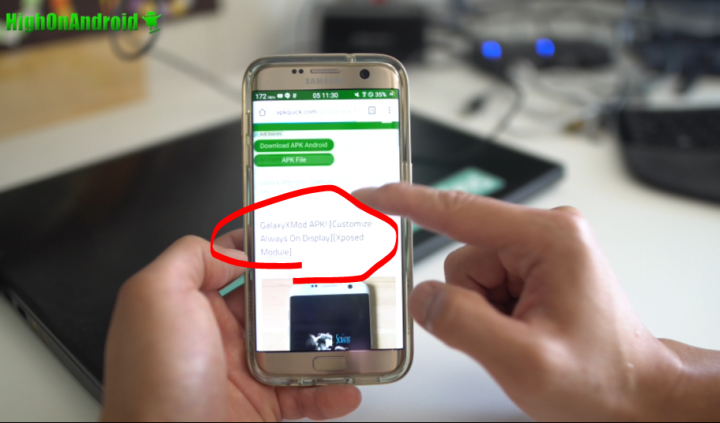 Next, Go to APKQuick.com, click on GalaxyXMod APK, then scroll down and find the link to the download link. Once on download page, scroll all the way down to “Download Here” then wait 5 seconds to download the file. Click on the download link to download the APK file. Step 3. 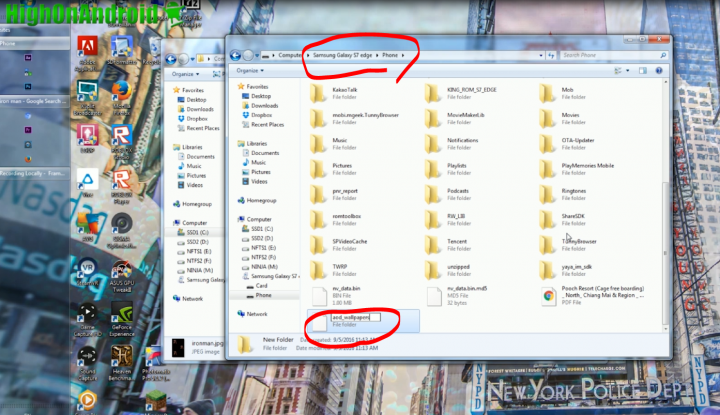 Once downloaded, use ES File Explorer to open the APK file and install. You may have to check “Unknown Sources” ON in Settings if you haven’t yet. Step 4. Once installed, reboot your phone. Step 5. 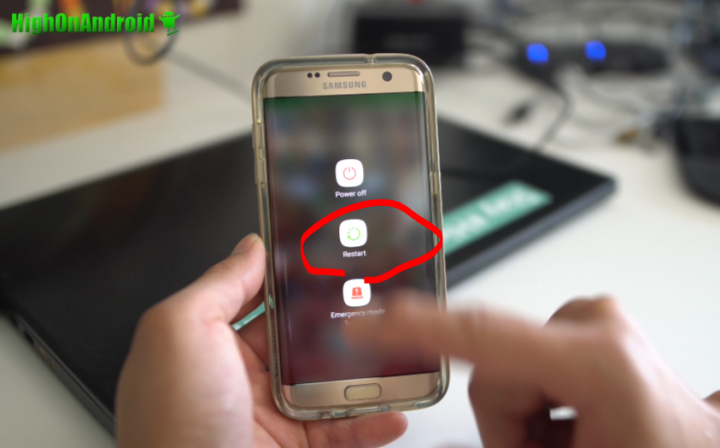 Once rebooted, Open up Xposed Installer, tap on “Modules”, then activate the new GalaxyXMod and reboot again. Step 6. 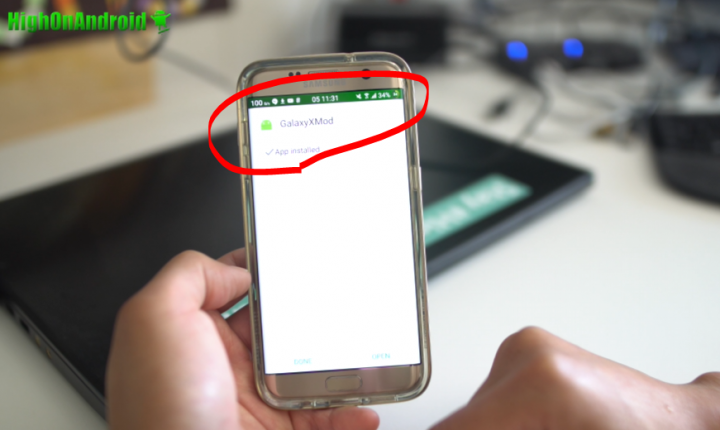 After rebooting, you can now fully use GalaxyXMod. 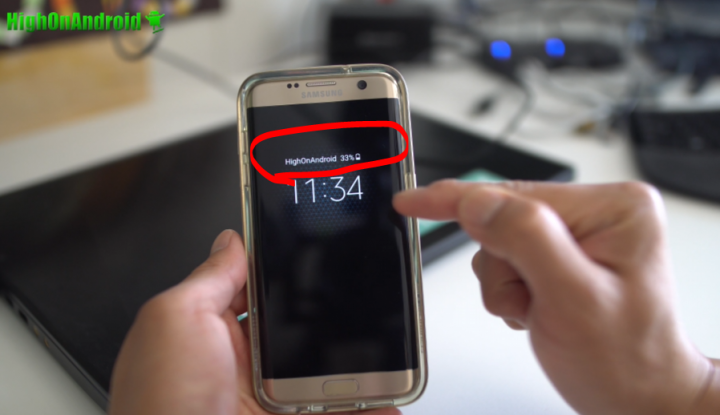 Launch the app and you will be able to replace the Always-On-Display date text to something you like such as “HighOnAndroid”. Turn the screen off and boomshakalaka! 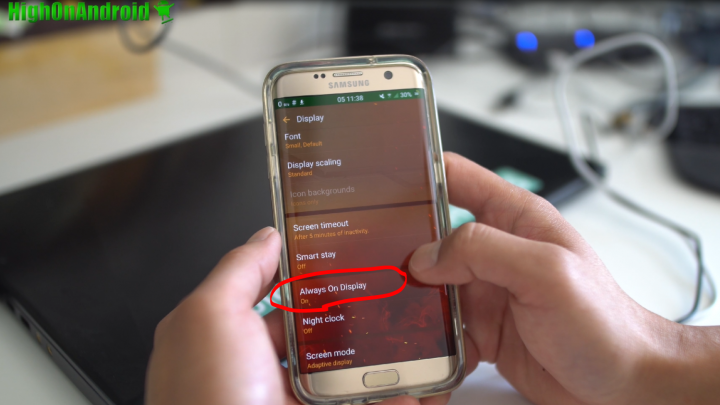 You got your own custom text on your Always-On-Display. 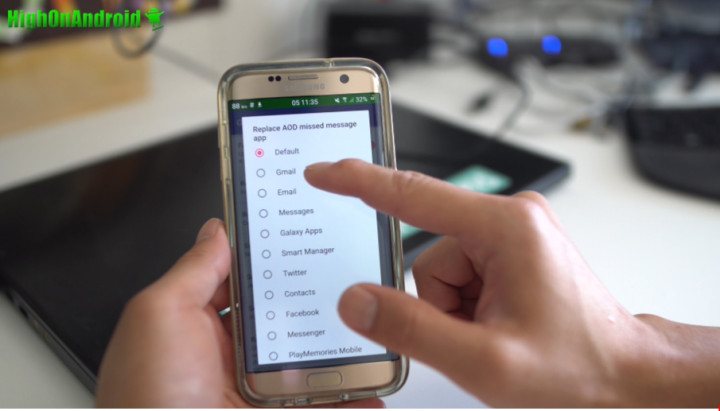 Now, GalaxyXMod also allows you to customize missed messaged apps up to two custom apps. For example, if you want Always-On-Display to notify you of new e-mails and twitter notifications, you can do it right here. 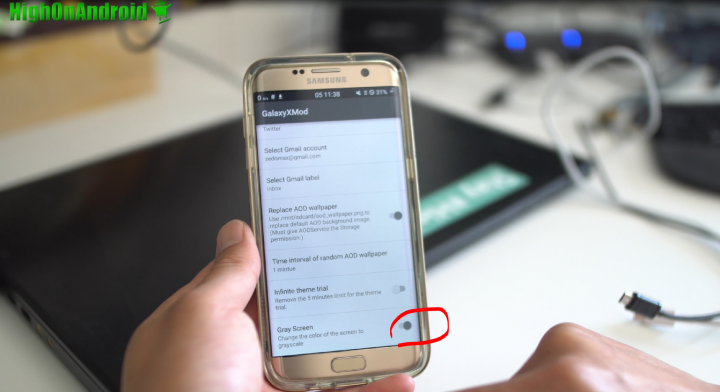 For G-Mail, you can even set the type of inbox to get notifications from. I hear users of WhatsApp really like this feature to replace regular messaging with WhatsApp. Step 8. 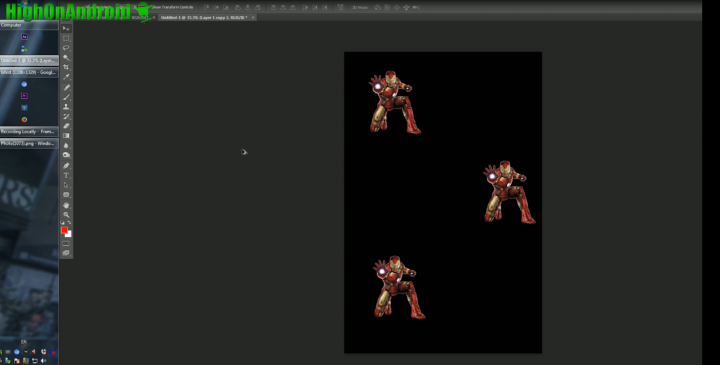 Here’s a quick example on how to make Iron Man Always-On-Display wallpaper. 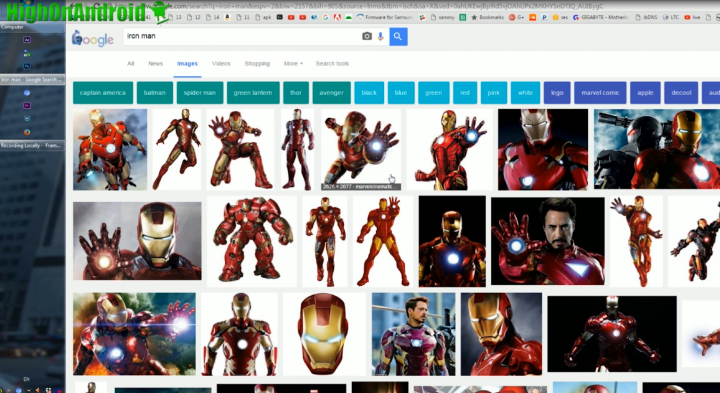 Google some images for iron man. Step 9. 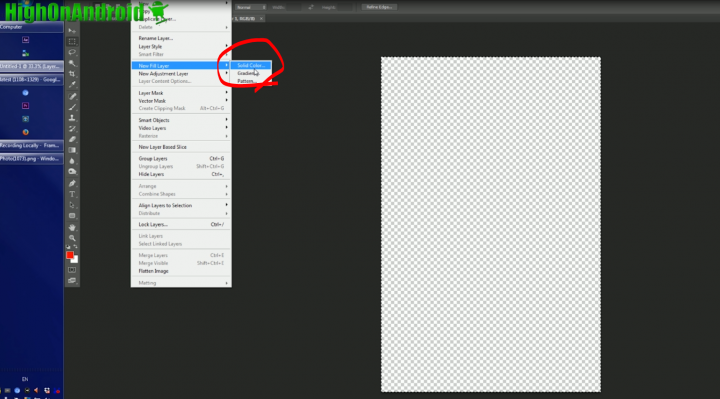 Then save the image and open up in Photoshop. Step 10. 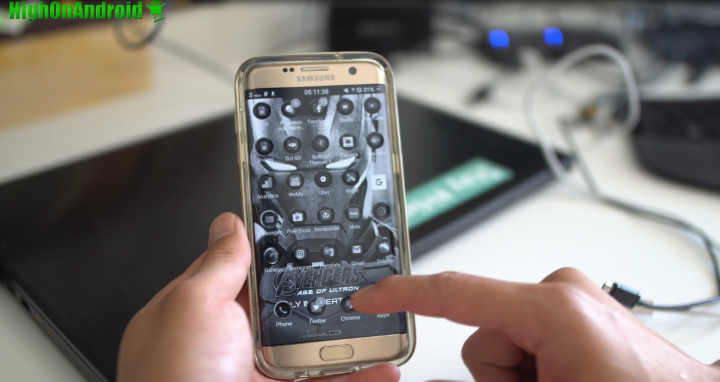 Make a new image with size of 1600×2440 pixels. Step 11. Make the background black. Step 12. 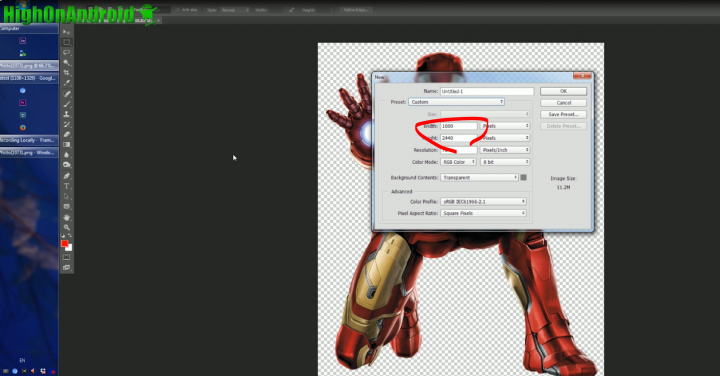 Copy and paste iron man image into the new image. Step 13. Save the image somewhere in your computer as JPEG or PNG. Step 14. 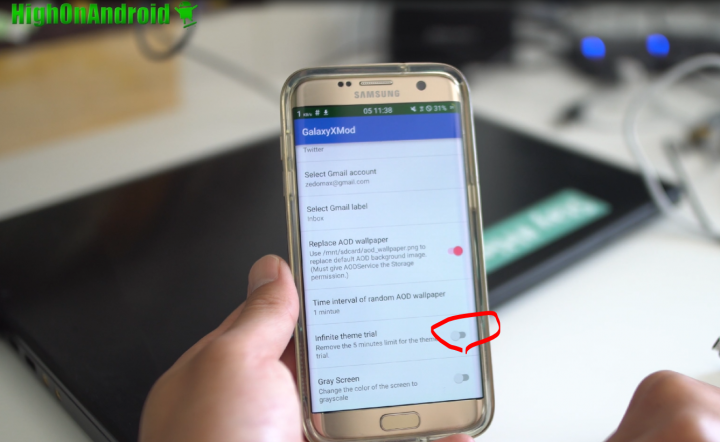 Make a new folder in the internal storage of your Galaxy S7 Edge as “aod_wallpapers” exactly. Step 15. Copy over all the images you want to use for Always-On-Display. Step 16. 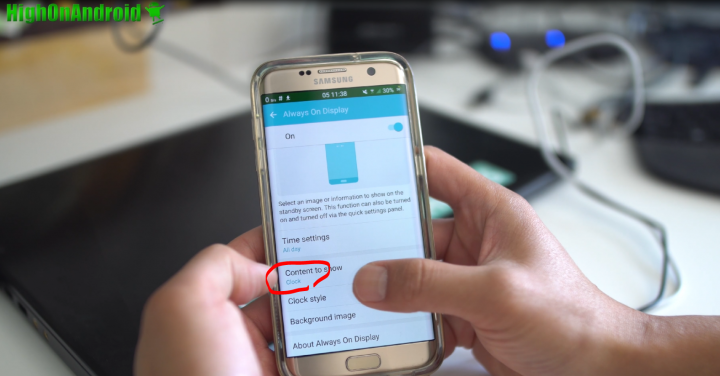 Next, go to your phone and go into Settings->Display then to “Always On Display”. 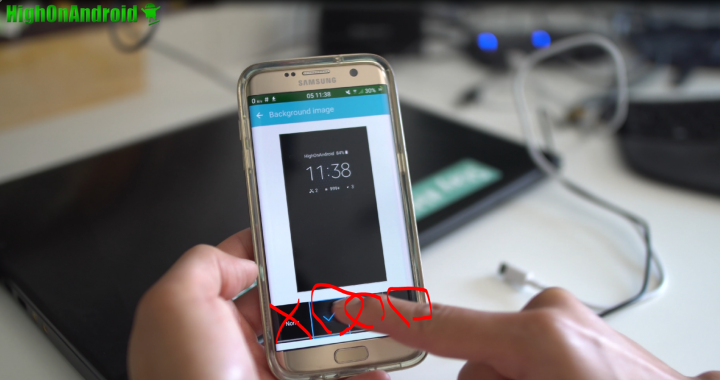 Make sure “Content to show” is set to “Clock” and Background image is set. If Background image is set to “None”, your images will not show. Step 17. 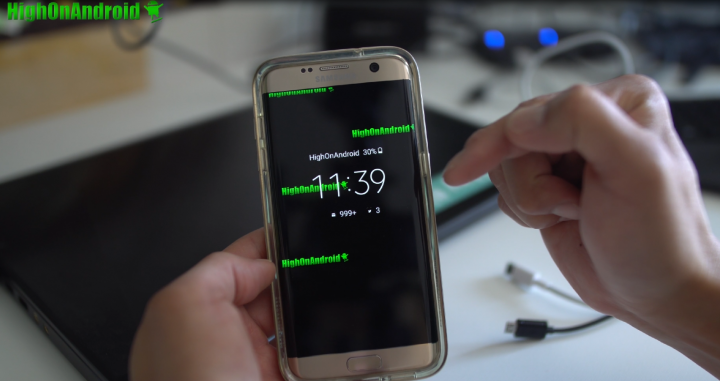 Turn the screen off and now you will see your new Always-On-Display custom wallpaper! Step 18. 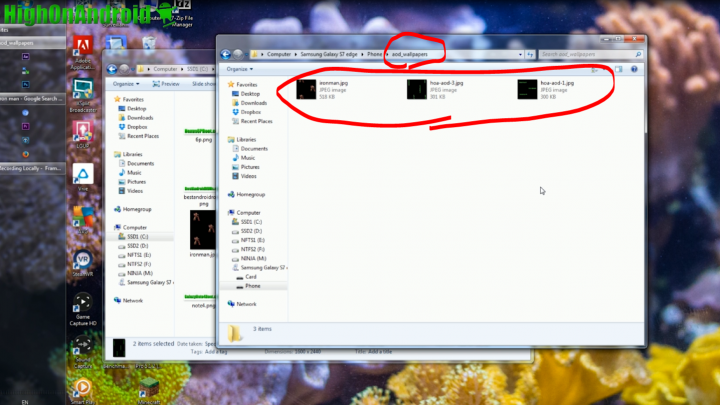 If you have multiple images, it will automatically rotate every minute or how many minutes you set. Step 19. Now, there’s two additional features GalaxyXMod does, you can also switch your phone to grey screen any time to save battery life. There’s also “Inifinite theme trial” that allows you to use trial themes without the 5-minute limit. 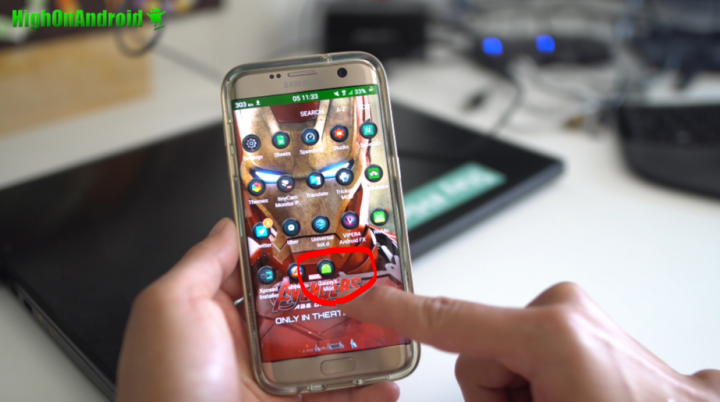 That’s pretty much it but GalaxyXMod can help you customize your Always-On-Screen to the fullest. 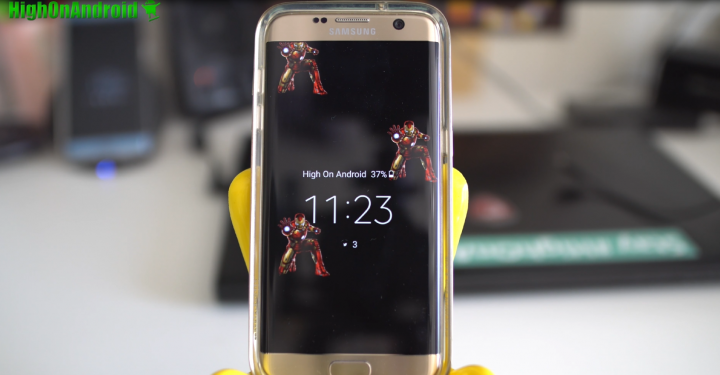 And of course, if you are interested in converting your S7 Edge into Iron Man Edition, don’t forget to check out my Iron Man Theme/Boot Animation Tutorials. 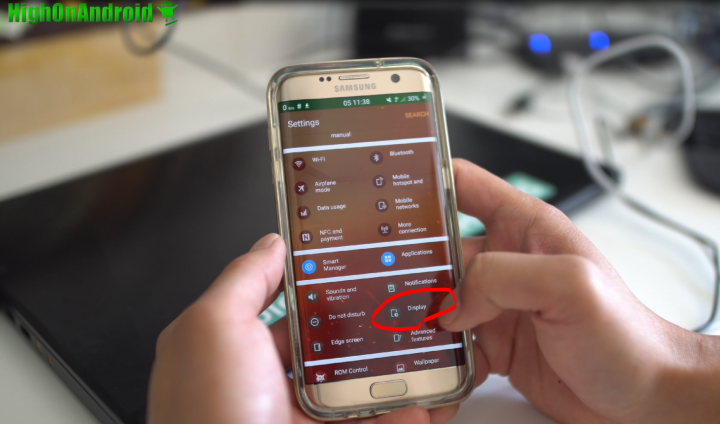 I rooted my sprint s7, now what can I do with it….I can’t install custom recovery so I can t install ROMs ….is there anything cool I can do…I been rooting for along time but can you reccommmend some apps maybe to change my phone , I don’t think I can install xposed installer….